We have to wait until November for that series, but Netflix has released the trailer for it, the second series in their Marvel Universe programming. 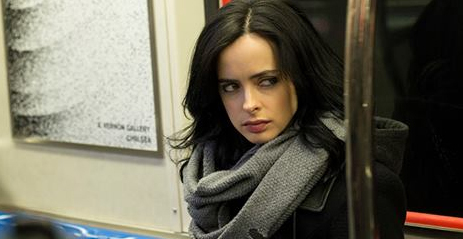 Based on Bendis and artist Alex Maleev’s comic book Alias, the series stars Krysten Ritter as a private detective who was herself once a superhero. (Some elements may have been changed for television.) Mike Colter co-stars as Luke Cage (who gets his own Netflix series in 2016). David Tennant also stars as her nemesis Kilgrave, in the comics also known as “The Purple Man,” a character with the ability to manipulate minds with his purple pheromones. Okay, that’s DEFINITELY getting changed for television.